Just a little post about football and how I love watching and playing. Mainly images going back to 1978, the first major World Cup I remember well. I was around for the 1974 World Cup but I only vaguely remember it as I was only 7. So the World Cup in 1978 took place in Argentina and my abiding memory was Scotland losing to Iran then scoring a brilliant goal against Holland and being so close to getting the victory they needed to qualify for the next round but ultimately failing. 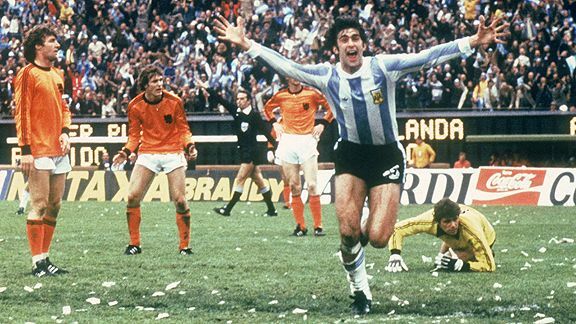 Ticker tape and Mario Kempes were the backdrop to the final as hosts Argentina handed Holland their second final defeat in a row. 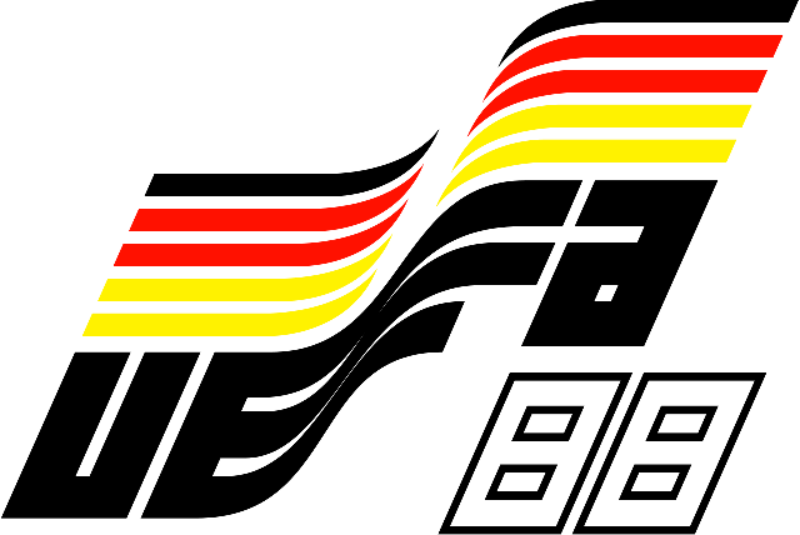 The next World Cup took place in Spain in 1982 and now I had a country to support as Northern Ireland qualified and would produce one of their best ever results when they defeated the hosts 1-0 with only 10 men. But they couldn’t reproduce that magic and were knocked out in the second round group stages. Mexico 86 doesn’t register with me at all except for Maradona scoring his now infamous Hand of God goal to help defeat England, but his second goal that game was pure world class and he single handly took Argentina to a second World Cup. Up to now I didn’t really take much notice of the European Championships but all that was about to change because of a Scottish goal in Bulgaria late in 1987. The goal meant that Ireland qualified their first major championships and Germany in the summer of 1988 will live in Irish sporting history forever. 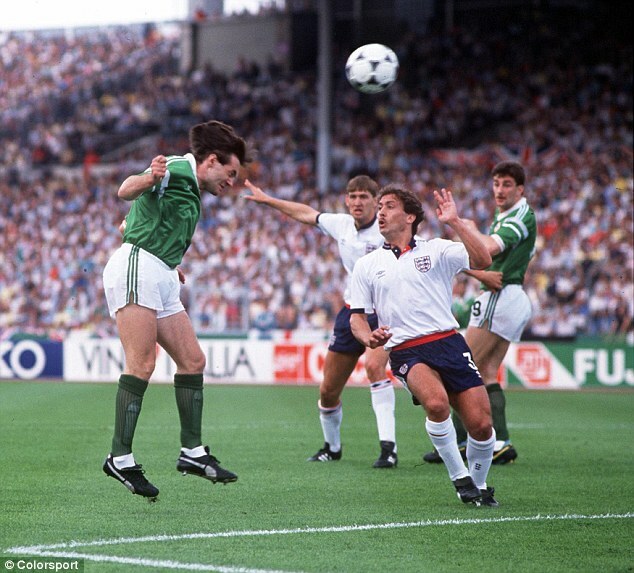 When Ray Houghton scored that famous goal to beat England a nation stood up and took notice. Ireland would eventually be knocked out by a wierd bounce and Holland but the breakthrough had been made. 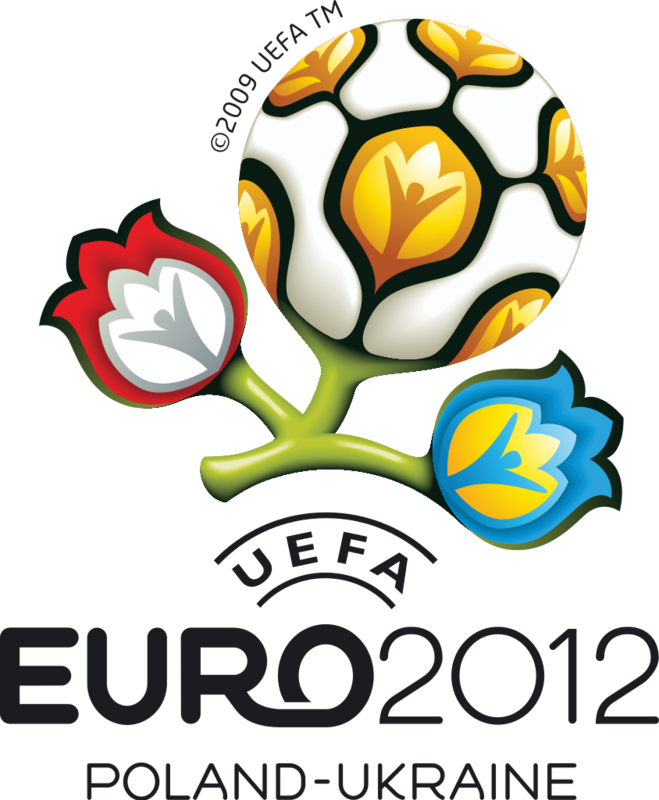 Ireland followed the 1988 Euros with qualification for the 1990 World Cup in Italy. 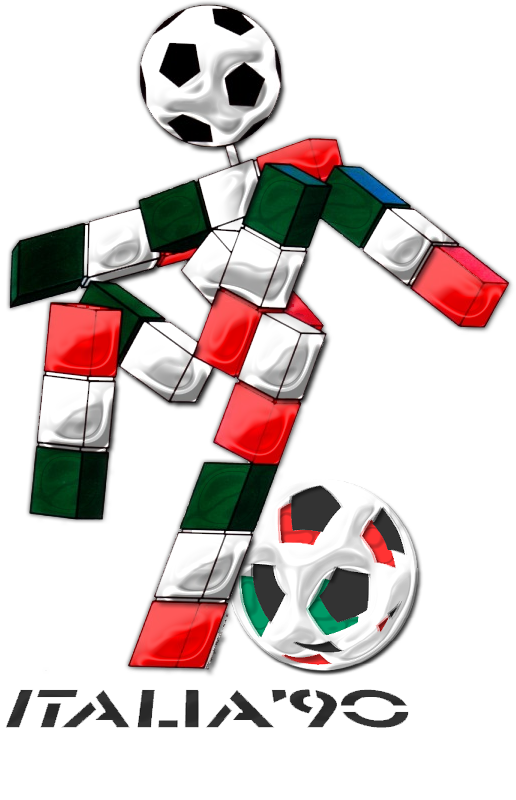 And if 1988 made sporting history, the summer of 1990 made a whole country celebrate and enjoy what the soccer team were achieving in Italy. 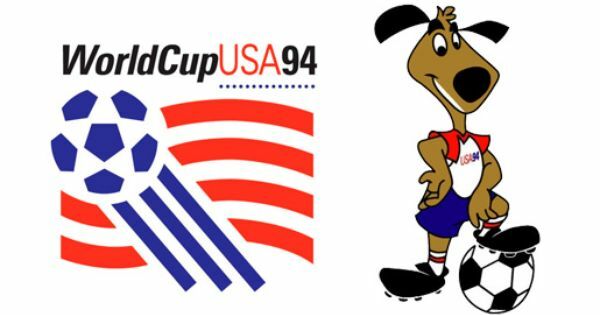 The euphoria over a battling draw with England was tempered by a lack lustre draw with Egypt and then that goal by Niall Quinn which earned us a late draw with Holland which seen us through to the second round. The drawing of lots meant we drew Romania and another defining sporting moment beckoned. 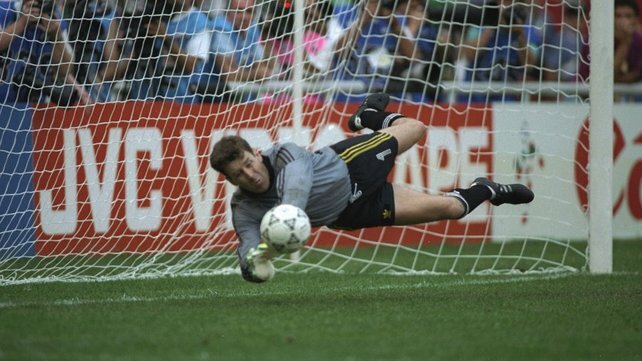 Packie Bonner saved a Daniel Timofte penalty in the shoot out and up stepped Dave O Leary to send Ireland into the World Cup Quarter Finals. A meeting with the Pope in Rome followed but Ireland’s amazing journey came to an end at the hands of the hosts in Rome, going down 1-0 but with pride fully intact. 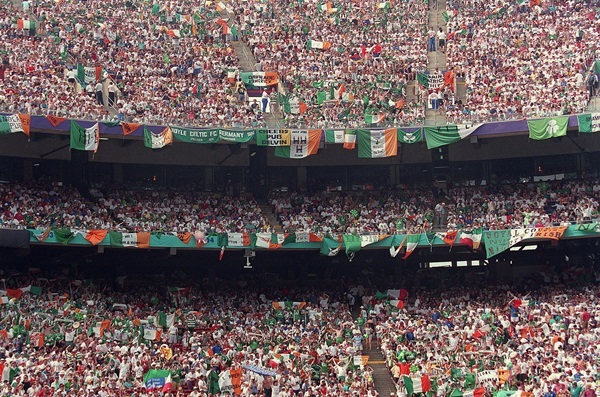 Ireland failed to qualify for the next Euros but USA 1994 beckoned and Ireland qualified and a meeting with their 1990 conquerors was to be their first match in Giants Stadium in New York. This time Ireland prevailed, beating the Italians 1-0 thanks to a Ray Houghton goal and a defensive masterclass from Paul McGrath, an ex St Patrick’s Athletic player. Unfortunately that was as good as it got for Ireland and even though they did get to the second round they couldn’t reproduce the heroics of 1990 and went out of the tournament. 1996 gave Ireland a chance to play in a major championships right next door in England but the team of 1988 and 1990 was getting old and breaking up so Ireland failed to qualify and they repeated the failure to qualify again in 1998 for the World Cup in France. 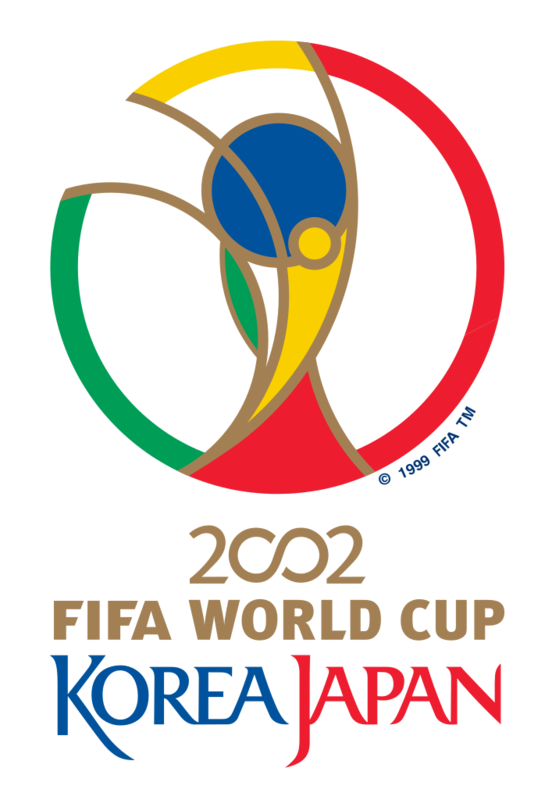 The rebuilding was taking place so for the 3rd major championships in a row Ireland failed to qualify for the Euros in 2000. The World Cup in 2002 seen Ireland return to the world stage and once again gave us a moment to remember when in the final minute of the game Robbie Keane scored a fantastic equaliser against Germany to earn Ireland a hard fought but deserved draw. Ireland would eventually go out in the second round to Spain in a game they should and could have won. 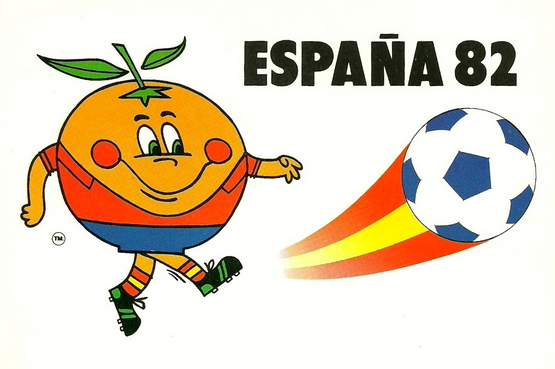 Of course this Spanish side was only a few years away from dominanting football. This was to be Ireland last World Cup but that didn’t happen without controversy when in a Play Off against France a handball goal was allowed to stand and France took the final spot in the World Cup in 2010 and Ireland had to stay at home. The 2004 Euros as well as the 2008 were also failures to qualify and it wasn’t till the 2012 Euros that Ireland would get a chance to compete against the best in Europe. 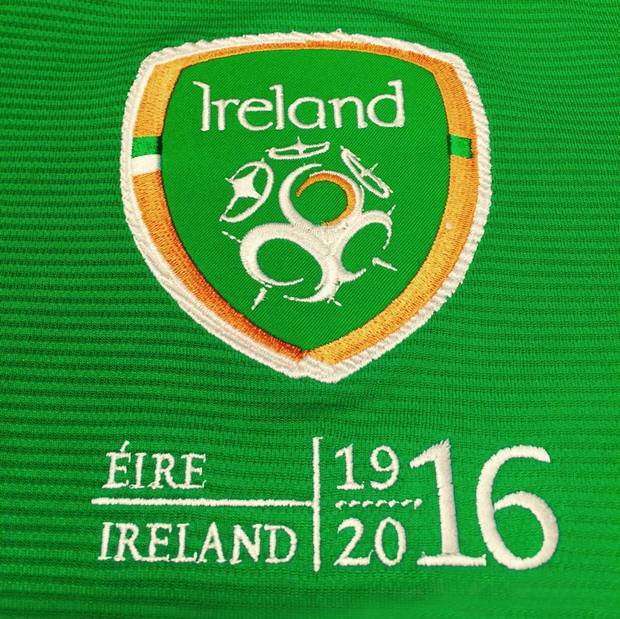 Unfortunately the best in Europe handed Ireland 3 defeats in a row and the team were knocked out with a whimper. The 2014 World Cup in Brazil took place without Ireland as well so the extended 2016 Euros gave Ireland a chance to qualify for the finals for the second time in a row for the first time. A fantastic home win against Germany followed by a play off victory over Bosnia Herzigova sees Ireland make the trip to France for the finals. 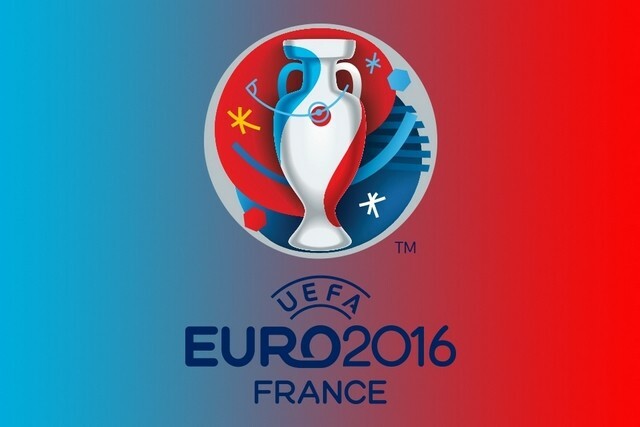 Drawn again Sweden, Belgium and Italy in there group it will be tough for Ireland but hopefully on Monday they can get off to a good start and progress to the knock out stages and put the ghosts of 2012 to bed. I will be watching the matches from here in the USA and will be cheering on the lads in green. I hope you enjoyed my little walk down my footballing memory lane. There is lots more, both international and domestic as I have traveled in Europe to watch Ireland and St Patrick’s Athletic but that is for another day.